Corning is a long-time Apple Supplier, and its Gorilla Glass products have been used in the iPhone and the iPad for several years. Corning Incorporated will receive $200 million from Apple's new fund, which aims to foster innovation among American manufacturers and lead to more U.S. jobs. 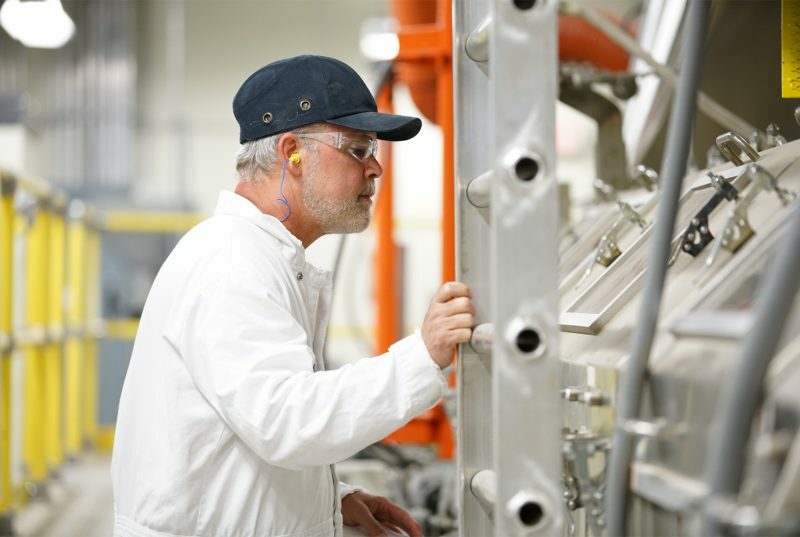 The investment will support Corning's research and development, capital equipment needs and state-of-the-art glass processing, according to Apple's press release. Apple said Corning's 65-year-old Harrodsburg facility in Kentucky has been integral to the 10-year collaboration between the two companies and will be the focus of its investment. "Corning's longstanding relationship with Apple has not only led to significant glass innovations that have enabled new capabilities for consumers, it has also helped create nearly 1,000 American jobs and allowed us to continue growing and expanding in the US," said Wendell P. Weeks, Corning's chairman, chief executive officer and president. "This investment will ensure our plant in Harrodsburg remains a global center of excellence for glass technology." Since the founding of Gorilla Glass in 2007, the partnership has created and sustained nearly 1,000 U.S. jobs across Corning's R&D, manufacturing and commercial functions, according to Apple, including over 400 in Harrodsburg. Corning is said to have procured enough renewable energy to cover all of its Apple manufacturing in the U.S.
Can't break less than the zero times it broke in my 8 years of iPhone ownership, since the 3GS. However I don't think it will be unbreakable either. That's quick. Usually you have a big announcement, and then nothing happens for ages, and then everything forgets about it, and still nothing happens. In this case, Apple promised to invest $1bn, and now they've done the first 20% of that plan already. Good job. There is nothing to worry about. Apple and Corning have been working together for 10 years. Corning, a highly respected company in business since the 1850s, is old school with demonstrated expertise over a wide range of technologies developed over the years. It was Corning who manufactured the 200 inch telescope mirror at the Palomar Observatory in the 1930s. GT Advanced overpromised and underdelivered. Corning, employing more that 30,000 people and with revenue around $9 billion, and GT Advanced, could not be more different. It's not "just" Gorilla Glass, because Gorilla glass is a spectrum of glass products tuned to a given OEM's requirements (in this case the ion bath for surface tension is what makes it the Ion-x branding Apple uses). "Just" Gorilla glass leaves one with the impression that it's all one monolithic product when Gorilla Glass is technically the umbrella brand name that Corning uses. Corning needs the investment??? It's not like they're some new startup. Yeah, this is the one aspect that makes me go "Abuah?" the Cynic in me feels like this is a "pay off" for something. it sure as hell isnt going to "spurr new innovation" because Corning isn't in a position to need such injection for help. I'm usually the biggest cynic in the room, but I can think of a pretty simple reason for Apple investing in Corning. That reason? There could be something specific that Apple wants Corning to explore. Apple: Hey Corning. We'd like you guys to look at the possibility of manufacturing X.
Corning: We'd love to that for you bud. Cool idea, just not in the budget right now. Apple: Don't worry about the budget. We got it covered. That makes it a win-win for both companies. Apple potentially gets a component that furthers their plans and Corning potentially gets a new product and revenue stream. This is just me hypothesizing but it works from a simplicity and common sense standpoint. Unlike GT, Corning doesn't lie about what they are able to produce. This is great news. Corning is a solid company that has proven itself over the years. I live very close to Harrodsburg and have several friends who work at the facility there. While $200M may not sound like a lot in the grand scheme of things, it will be a big shot in the arm to our relatively small (but growing) community. Hopefully it will mean a few more jobs and a lot more R&D to make better stuff! This isn't a venture capital fund. It's an advanced manufacturing fund. Corning is well-deserving of this investment and will almost certainly be able to provide better products because of it. Don't be fooled; Apple isn't exactly playing the risk game with their money here. They are simply doing what's in their best interest (it happens to be a win-win here).